Forty six years ago this month, I participated in the first Earth Day founded by United States Senator Gaylord Nelson from the great state of Wisconsin. I was a freshman in high school and I was also from Wisconsin. Our school, along with many other schools not only in Wisconsin but across the nation, participated in this event. It was estimated that over 20 million Americans participated in events that day. There were many different activities channeling human energy toward environmental issues. Our class was selected to pick up roadside trash while other classes planted trees and held discussions on how we could clean up air, land, and water in our country. It was a positive experience that has stayed with me all of these years and one I remember every April. We are now celebrating the 46th year of this movement that continues to inspire and motivate people to action. Best Buy has teamed up with LG Studio Line to promote Energy Star certified refrigerators this year. One thing you can do to help the environment is to replace your old refrigerator with a ENERGY STAR certified refrigerator. 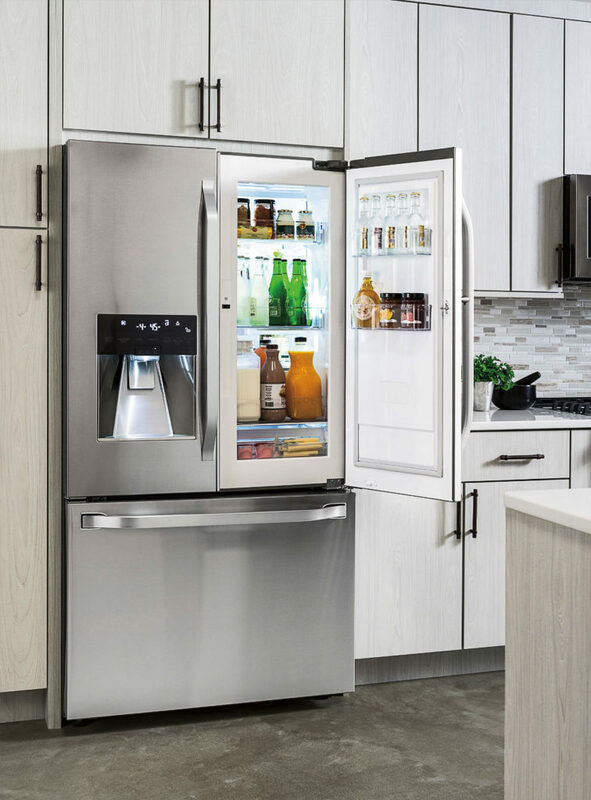 There have been many recent improvements made with these new refrigerators in both insulation and compressors and this will help you to maximize both your energy and dollar savings. You can do all of this without sacrificing the features that you love! Does the refrigerator you currently have make a lot of noise and have a life of its own? Does it to run day and night and never shut off? If so, you need to check out ENERGY STAR certified refrigerators. They use less energy and help us reduce our impact on the environment. Did you know that if all refrigerators sold in the United States were ENERGY STAR certified, the energy cost savings would grow to more than $400 million each year and 8 billion pounds of annual greenhouse gas emissions would be prevented, equivalent to the emissions from 750,000 vehicles? That would be a huge positive impact on our environment! No one likes to face those monthly utility bills. Refrigerators that are Energy Star are 9-10 percent more energy efficient than that old model that you have in your kitchen right now. There are a whopping 170 million refrigerator and freezers currently used in the United Stated today and over 60 million of them are over 10 years old. These older models are costing consumers 4.7 billion dollars a year in energy costs. WOW! Did you know that by replacing your old refrigeration with a new ENERGY STAR certified refrigerator you could save between $35 – $300 a year? Check out this handy little ENERGY STAR Savings Calculator you can use that is designed to provide an estimate of the savings associated with replacing or removing an old refrigerator or freezer with a new ENERGY STAR certified model. Check Out LG Studio Collection to Make Your Kitchen Spectacular! The LG Studio Collection is just simply gorgeous! It is a Nate Berkus-inspired line with pro-style features like hefty metal knobs and flat doors — for a suite that’s both well-designed and hardworking, giving you a kitchen you will want to cook in for years to come. And this collection offers so much more than just refrigerators! Refrigerators – Your guests can’t help but be drawn to the seamless design and impeccable styling of LG Studio refrigerators. The horizontally brushed stainless steel finish, flat-door design and all-metal tall ice and water dispenser enhance the design aesthetic of any kitchen. Cooking – LG Studio delivers cooking precision, performance and versatility, combined with a streamlined, built-in look you’ll love. Every detail has been meticulously crafted, from flat-design, tilted control panels and robust, metal knobs to sleek wave handles and SmoothTouch glass controls. Dishwasher – LG Studio dishwashers feature ultraquiet 42 dB performance and a sleek and stylish exterior. LG tackles your toughest baked-on foods with ease — thanks to TrueSteam technology, prewashing (or rewashing) dishes is virtually a thing of the past. Over-the-range microwaves – Sensor cooking technology senses humidity levels within the oven and automatically adjusts cooking time and performance to provide superior heating performance. LG’s Convection technology means your microwave really can serve as a second oven. Bake or roast your favorite foods in less time. Use TrueCookPlus to cook your food easily and perfectly every time. 18 months major appliance financing or 10% rewards (increased from 5 to 10% for April!) and a brand new offer… 10% back in grocery purchases. Best Buy really is the go-to place for the best selection of appliances. Head on over to the Best Buy site to check it our for yourself! Find Great Gifts for Dad at Best Buy! Make the Season Merry with LG’s OLED TV Now at Best Buy! I love my newer energy certified fridge. I will buy energy efficient appliances from now on. That is so cool that you participated in the first Earth Day! I remember getting saplings to take home as a kid, I don’t think schools do that anymore. Having an energy efficient appliance is a great way to celebrate Earth Day every day of the year! LG has great products. We actually have some LG appliances and they are really sturdy. These look amazing fridges!! I love that appliances are more energy efficient saves money and helps the earth at the same time! I love the LG refrigerators. They seem so perfect and functional! Great post!! I think we should only purchase electrical appliances that are Energy Star Certified; preferably 5 star rating. I know it is impossible to replace all items at once; however, we can do this when we need replacements. LG is a reliable brand. One more thing; the upfront cost of energy star certified appliances is more, but it is still beneficial as it incorporates long term saving benefits. LG has such amazing products! We are updating our appliances and this is one I am currently seriously considering. I love the sleek look! I’d love to save on energy with these. My refrigerator is pretty old and it is not spacious at all. What beautiful appliances-but I would expect nothing else from LG!! I remember Earth Days from years past–I did everything from helping to clean rivers and streams and the sides of highways to helping out at Earth Day festivals–I was really good at getting signatures!! They sure make a pretty line of appliances, don’t they? I most definitely could use a new energy efficient fridge like this. Thanks for your post, going to be buying a new fridge soon since we are buying our first house and have been researching different brands. Those pieces all look beautiful! I’ve been totally coveting a french door freezer like the one above with the big drawer. I have a friend that has that several LG appliances after her kitchen remodel. The dishwasher she purchased is so quiet. I am jealous of her refrigerator. I can not wait until I get to replace our appliances so I can get one. We used to own a house that had a number of LG appliances. I like the LG studio line. I think it’s important to save energy in every way you can, especially with those things we have running all day, every day lke the refrigerator. Great to know. I have been wanting to upgrade our appliances to stainless steel, sounds like a good time to do so! That is a really great refrigerator. I don’t have to replace anything in my house at the moment so I’m going to hold off on this refrigerator even though I really love it. Getting one that is energy certified however does reduce your energy bill. Those are beautiful! When we redo our kitchen I’m totally going with LG appliances. I love the options! I just love the idea of using energy efficient appliances in the home. These LG Studio products are so good looking as well as money saving! What an awesome line of refrigerators. We are in the market for a new one so I definitely will look at these. Earth Day is such a great reminder for everyone of us that we all have the responsibility to do something to make sure to save the environment. LG Studio Line sounds like a great replacement to your Refrigerator & I love that it could reduce energy bill as well. Will check out the other items as well from LG Studio. 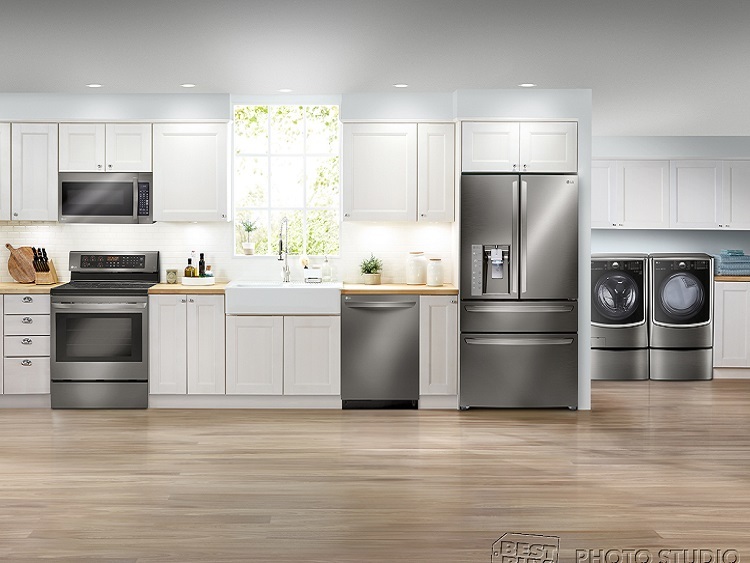 I loves Lg appliances, great review and now I have to talk the hubs into that fridge. Earth day is a great cause, buying energy efficient appliances is a great idea. Will be needing a new refrigerator soon and will definitely check out LG. I love my LG appliances. I need a new refrigerator. These look great! this is what i hate about being a renter. i dont know why owners would not want something more efficient! I do need a new fridge, this inspired me to look again! I wish I had room for a dishwasher! I remember celebrating Earth Day in high school by planting a seedling in our courtyard and going back for reunions and seeing grown trees. I love that LG has stepped up with Energy Star appliances to keep our environment clean and green. I would love a new refrigerator. Will definitely look into those when shopping for a new fridge. This would be awesome in my kitchen,lol send it over! I would love to have a dishwasher! I need a new refrigerator bad but financially I can’t right now. When I go for appliances I’m definitely going to look into these ,love the style and the savings. Wish I could fit one of these beauties in my tiny kitchen. LG is the best – and we are in the market for a new refrigerator! Hopefully buying a fridge this week! The fridge is really awesome, but I would absolutely love to have one of the dishwashers. I need one really bad and I think one of those would be awesome. I so need a new fridge. We have an older home and appliances came with. I’d like to replace the old with one of these.